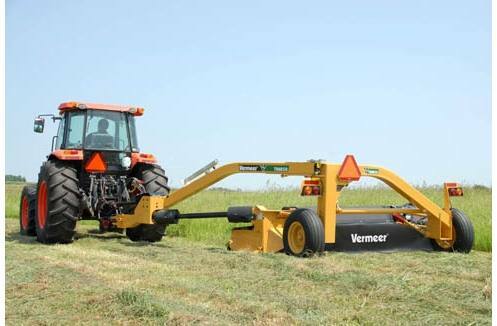 The TM850 allows you to mow many acres with lower horsepower. 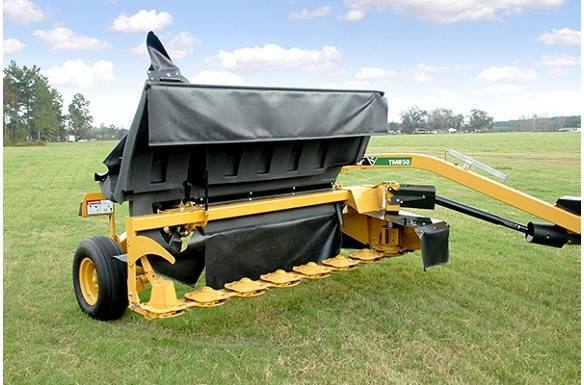 With its patent-pending, self-aligning driveline system, this heavy-duty trailed mower delivers smooth operation in all tongue positions, enabling it to be easily maneuvered around obstacles in the field. The TM850 also delivers smooth ground-hugging flotation and control, thanks to its nitrogen-charged hydraulic suspension system. Heavy-duty design featuring 6" (15.2 cm) formed steel tubing evenly distributes loading and reduces stress levels in harsh mowing conditions. 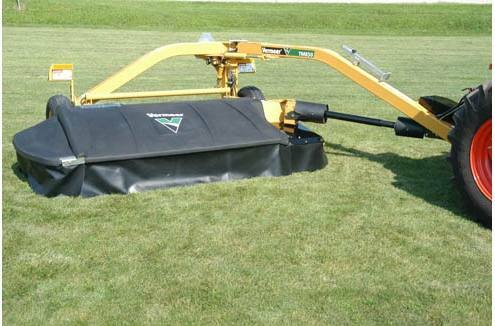 Self-aligning driveline ensures smooth, easy mowing around obstacles at all tongue angles. Quick-Clip® blade retention system enables you to reverse or replace blades in seconds. 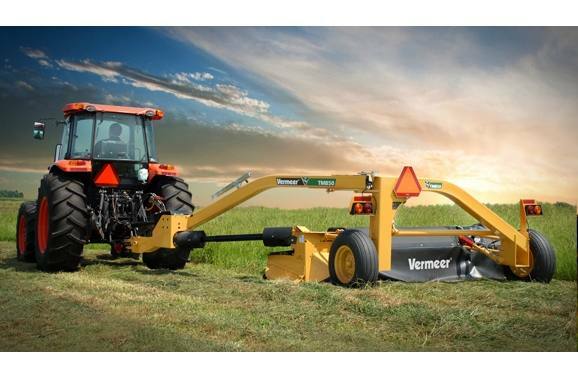 Enables you to mow more with less horsepower.